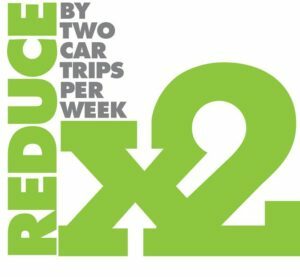 Our ReduceX2 (Car Trips per Week) initiative inspires people to take carefree car-free (and carpool) trips around town and beyond. Discover new walking paths, safe bike routes & local public transportation options. Find carpools to work & school. And connect with others to explore the beautiful place we live. Join us for our popular monthly Fairfax on Foot walks! Our monthly walks are scheduled on the third Saturday of the month. For information including upcoming walks and downloadable maps, visit Fairfax on Foot. Our Slow Riders group explores the beautiful bike paths of Marin. We ride at a slow easygoing pace and stop along the way to take note of interesting places and animals. For information including upcoming rides and downloadable maps, visit Slow Riders. Our favorite resource for planning your transit, bicycling, walking and ride sharing trips is Google Maps! Google Maps links schedules from all transit agencies to easily plan your routes. Golden Gate Transit: Golden Gate Transit (GGT) provides regional bus service in San Francisco, Marin and Sonoma counties. Bus service is also available between San Rafael and the El Cerrito del Norte and Richmond BART Stations in western Contra Costa County. Golden Gate Ferry: Ferries to San Francisco leave daily out of their terminals in in Larkspur and Sausalito. They also operate a special ferry to San Francisco Giants games throughout the season. Marin Transit: Marin County Transit District (Marin Transit) was formed by a vote of the people of Marin County in 1964 and provides local transit service within Marin County. Fares are $2 per adult, and $1 for youth (5-18) and seniors (over 65). If a Clipper Card is used, adult fares are calculated at a 10% discount. SFO: The Marin Airporter is an employee owned company based in San Rafael providing reliable scheduled service to San Francisco International Airport (SFO). This is a wonderful, stress-free way to get to SFO, and is only $20 each way (only cash, no credit cards) (Children 12 and under are free). You can pick up the Airporter at San Rafael Transit Center once an hour. The Airporter leaves from the main terminal at the Anderson Drive location every 30 minutes; parking at this location is available for $6 per day. When you return, you can catch the Airporter at SFO on the lower level at the courtesy island outside baggage claim, every 30 minutes up until midnight. OAKLAND AIRPORT: The Sonoma County Airport Express services Marin as well. The shuttle departs from the San Rafael Transit Center every two hours starting at 4:15am, until 8:15pm. The fare for adults is $26 and for seniors is $24. (Children 12 and under are free.) The ride is 45-60 minutes long. When you return, you can catch the shuttle every two hours starting at 5:30am, until 9:30pm. The Americans with Disabilities Act (ADA) requires all public transit operators to provide a special service to eligible disabled and elderly individuals whose disabilities prevent them from using lift-equipped public transit. The special service, called “paratransit service,” is required by the ADA to complement fixed route public transit service. Marin Access is a combined effort of both Marin Transit and Golden Gate Transit to offer a single point of contact all for paratransit service in the area. Operated by Whistlestop, this joint effort allows for seamless door-to-door travel within Marin County and beyond. To learn about this and other services offered by Marin Access please call 415.454.0902 to speak with a Travel Navigator. Take our 3-week challenge to replace your single occupancy car trips with other modes of transport and you will be entered into a drawing to win great prizes including a Boreas Gear backpack and an Alite barrell handlebar bag. During the first week of the challenge you will assess your travel habits by tracking each of your trips through our text messaging program. The second two weeks you will try to replace your single occupancy car trips with biking, walking, taking the ferry, busing or carpooling. You will receive encouragement and feedback along the way, including a daily report of the greenhouse gases you reduced by taking alternative transportation. Share pictures from your trips with other ReduceX2 participants on social media if you choose to. This challenge offers a fun way to break habits and find better ones, not only to reduce greenhouse gas emissions, but to foster new ways of connecting with the beautiful Fairfax environment and community. STARTING THE CHALLENGE IS EASY! Just Text the word “Start” to 415-214-9502 and you are on your way!! To learn more about the Challenge, review the ReduceX2 FAQs. Taking trips without your car reduces both traffic and greenhouse gases. 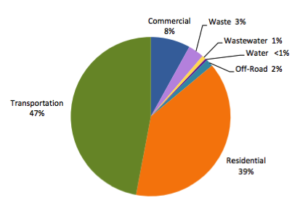 The Fairfax Climate Action Plan shows that transportation is responsible for 47% of the Town’s greenhouse gas emissions. If everyone used alternative transportation modes for just two additional trips per week, together we could make a significant impact, while gaining the benefits of exercise, health, and a stronger connection to our community. LIKE the ReduceX2 Facebook page here to stay on top of recent news and upcoming ReduceX2 events. Click here for our Transportation Resources at a Glance.